Menu offers four prices for every dish: Communist, Socialist, Imperialist and Anarchist. But come here for the atmosphere. Candles, music, Georgian wines and Russian beers. It feels Georgian. “The French sip wine, we Georgians gulp it. 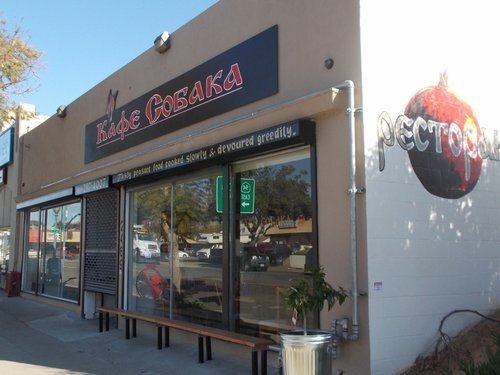 We love camaraderie,” says owner Mark Djugashvili.